Campari UK owned Appleton Estate rum distillery in Jamaica has released an Appleton Estate Joy Anniversary Blend, a 25 Year Old limited-edition rum celebrating Joy Spence's 20th anniversary as master blender. After graduating from the University of the West Indies with a Bachelor of Science in Chemistry and the University of Loughborough with a Master of Science in Analytical Chemistry, Spence joined Appleton Estate in 1981 as chief chemist. Under the guidance of then master blender, Owen Tulloch, Joy honed her sensory skills, developing an unrivalled mastery of taste and smell. 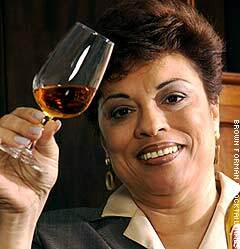 Joy’s prestige in the industry rose at a time when rum was primarily made and consume d by men, and her 1997 appointment as the world’s first female master blender certainly served to shatter the spirits industry’s glass ceiling. Appleton Estate Joy Anniversary Blend 45%ABV will be rolled out across markets starting in March 2017 at an RRP of £225.